In astronomy, a Disseminating Moon is seen around 2-5 days after the Full Moon. This month’s Disseminating Moon will occur this evening, Wednesday the 6th of May. The Disseminating Moon can be identified by it’s almost full appearance in the sky, where more than half of the moon is illuminated by direct sunlight, and less than half is in shadow, casting a ‘C’ shape in the sky. The illuminated fraction of the moon’s surface will appear to diminish in the sky until it returns to its New Moon phase. Sometimes referred to as a ‘Waning Gibbous’, the Disseminating Moon represents a time to teach and share what you have learnt over the lunar cycle. After the illuminating revelations of the Full Moon, it is now time to absorb the wisdom gained from experience. During the Disseminating phase, our purpose is to spread and share this knowledge with others so they too can benefit. Relationships The Disseminating phase is traditionally associated with breaking bad habits and banishing certain elements from your life so if you are thinking about ending a relationship, the Disseminating Moon is an ideal time to cut ties. This will ensure that you make a clean break with your partner and allow you to move on as the New Moon comes back around. The Disseminating phase is also a particularly social time so if you are single and looking to meet someone new, don’t waste any time getting out there. If you have achieved what you wanted and have found yourself in a happy and fulfilling relationship, the Disseminating Moon can be a satisfying time to share your good fortune with those around you. Meditation The Disseminating Moon is a great opportunity to release past influences and seize the energy of change during meditation. Communication is particularly heightened during this phase so you may want to use your time in meditation to connect with a higher power. The energy of the Disseminating Moon can actually enhance your ability to connect and receive messages. Career Study, listen and absorb everything your colleagues have to say during the Disseminating phase. If there is a message you want to get out in the workplace, now is the time to share it. While this is a great time to share your ideas with others, try not to pressure them into your way of thinking. Simply spread your word and allow them to make what they will of the information. The desire to teach, write, travel and publish will also be particularly heightened during this phase. You may feel inspired to take up further education, begin a new field of study or even feel the urge to teach others, or start writing your own book. Working with lunar cycles is so simple. 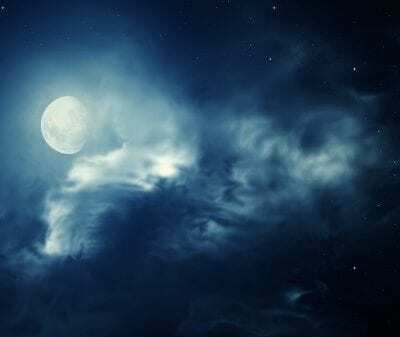 If you want to tune into one of the moon’s phases, look out for upcoming posts on the Psychic Light blog to observe and familiarise yourself with the moon each and every night.